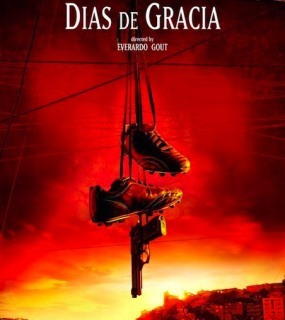 Upcoming Mexican thriller film Days of Grace already has a prestigious soundtrack; Nick Cave, Atticus Ross (The Social Network), and Shigeru Umebayashi (House of Flying Daggers) have a bunch of efforts on the 39-track soundtrack, each focusing on one of three storylines. It’s an interesting premise for sure. I’m curious to see/hear the execution. In addition to an effort from ex-UNKLE member Tim Goldsworthy, the most surprising track comes courtesy of Massive Attack’s 3D project and tantalizing actress Scarlett Johansson. Even odder than the collaboration itself, they tackle George Gershwin’s classic “Summertime”. Johansson also performed a “Summertime” cover on her 2008 debut Anywhere I Lay My Head, which contained mostly dull and uninspiring folk fare. But this may mark a more ambitious direction to her musical career, which has yet to match the accolades of her day job. She may always be nothing more than “a voice”, but at least it’s a soothing one.